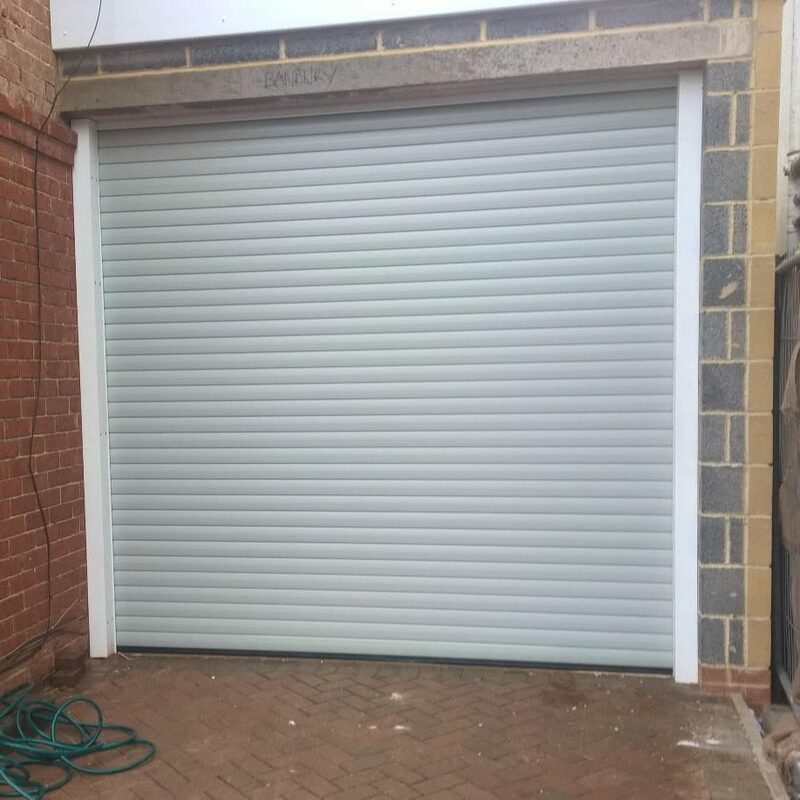 Aluroll 77 Automated Insulated Roller Garage Door, fully finished in Painted Grey, installed in Adderbury, Oxfordshire. 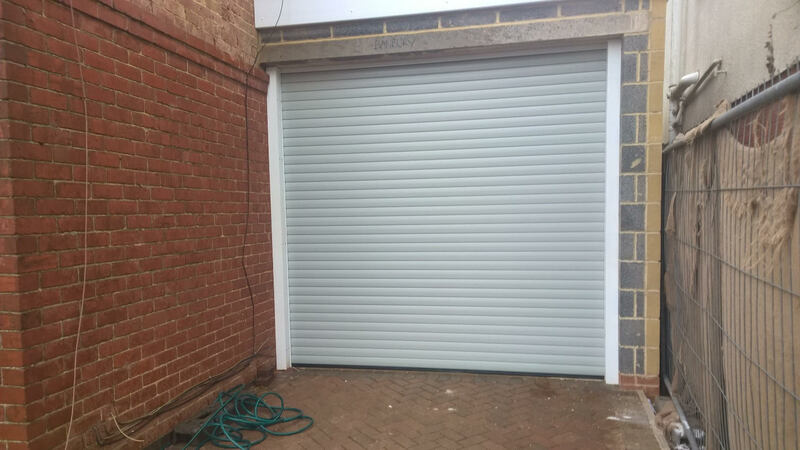 Our customer, a local property developer, asked us to install this grey automated roller door at their site in Adderbury. Remote control operation with safety features meeting BS EN 13241-1, and manual override all as standard. Single phase tubular motor & wall switch as standard.